I'm not usually a matte person. It's not that I don't like the look of matte, it's more of a texture thing for me. I don't like my nails not feeling slick...? Does that sound nutty? Probably...lol. I think I can make some exceptions though, I really love the bright mattes Zoya did this summer including this awesome blue. I think I can handle the texture for this great color. 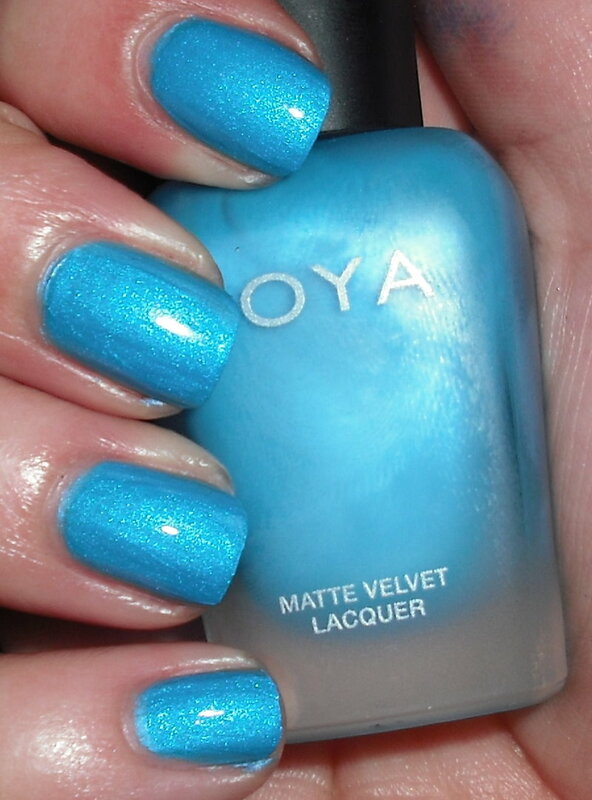 Pheobe is a bright cerulean blue shimmer with a matte finish. This is a fantastic blue! It's very vibrant, and is perfect summer blue. The only issue I had with this polish was application. I'm not sure if it's because it's matte polish or it's because it's so bright, but this wasn't easy to apply. It was a bit streaky on me, but it evened out after 3-4 coats. 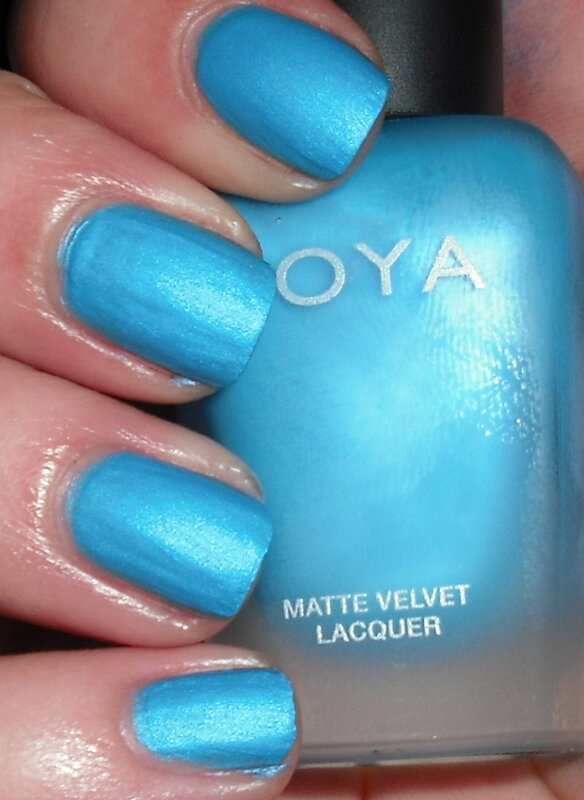 I don't usually have this issue with Zoya, but I'm sure this being a matte and such bright color may have made the formula a bit wonky? Who knows, great blue though, I can let the formula slide this time. Love this polish! First time I have ever liked a matte polish. It's an amazing blue. This is on the way to me and I can't wait! looks awesome! Phoebe is a great color. I typically don't put a top coat on my mattes, but this one looks so pretty with a tc.